You do not have enough vehicles in Minecraft PE? Mod Vanilla Vehicles will add five modern cars to the MCPE, from the usual car to the flying plane. All cars remain true to the original Minecraft Pocket Edition graphics, this is what makes them a great addition to the game. Replace your horses with the latest technology today! 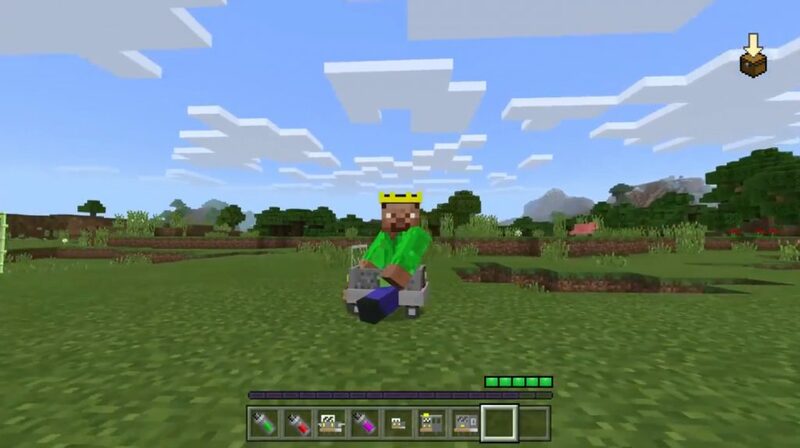 The horses of the world of Minecraft PE have been replaced by the top five modern cars. Driving works the same way as riding a horse. Equip your car with a key so that you can control its movement. iOS / Android: use a long press on the car, and then click on the Drive / Fly button that appears. Management is carried out using the key. 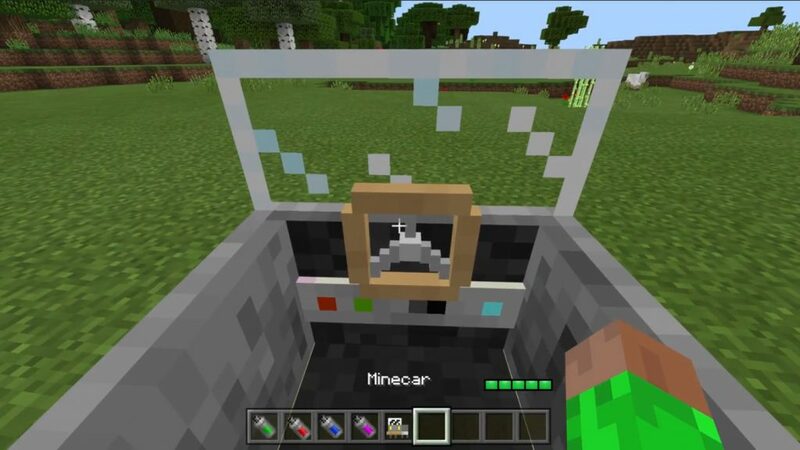 Minecar: This car is the fastest land vehicle of the world MCPE. You can decorate it with stickers, and also use the cauldron to paint it a different color. To start driving, you need to equip the car with a key. Minemarine: This vehicle is intended for underwater driving. It can be under water for a very long time, and it really is the perfect vehicle for your travels in the world’s Minecraft Pocket Edition. Use the key to start the engine and start driving. To drive this car is quite simple, not very different from driving on land. Mineplane: This is certainly not the fastest and most advanced aircraft, but it can fly. Insert the key in order to start moving forward, and eventually he will rise into the air. After 3-4 minutes you need to re-equip this aircraft with a key so that it can continue the flight. Miniminecar: This is basically a miniature version of Minecar. It is much smaller and slower, but it has one advantage. He is able to jump! 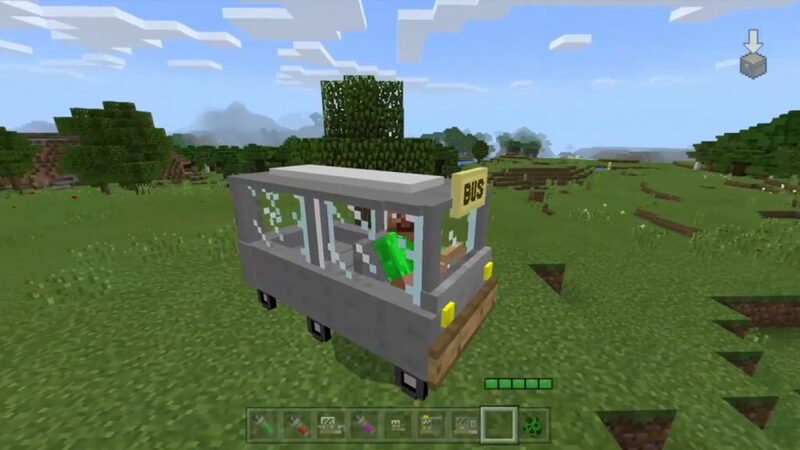 Minebus: This car can simultaneously hold up to five players Minecraft PE. Now you can go on a trip with your friends. And besides, conscientious trains are always fun! One of the players will be the driver, and the rest of the passengers. Minebikes: Fairly fast motorcycles that you can even fit together.